One of the many blessings of this career is the ability to service a client during the most joyous time of their lives. The sight of busy family members and friends scurrying around the venue attempting to take care of the final details of Megan and Zach's day, was inspiring. We were able to offer the bride and her entourage elegant hair styles and soft makeup looks, to meet their exact expectations. What an honor it was to be a small paragraph in the beginning of their love story, and for that we thank you. Updos by our Senior Stylist Brianna Caprio. Soft, natural looks by our makeup artist Heather Dove. As we jump start the 2017 wedding season, our stylists were privileged to take part in the Disney's Up themed wedding. 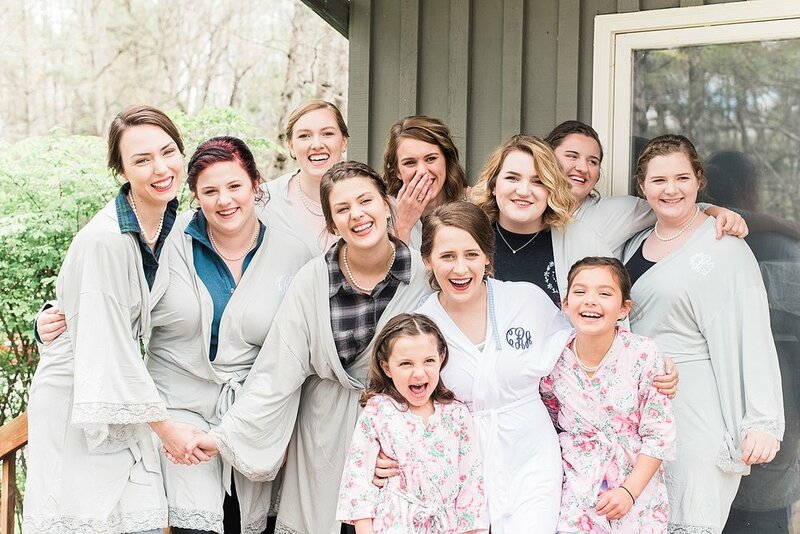 With such a welcoming bridal party, it was as if we were apart of the Ransom/Rainey family. Sassy she-fade with a pop of violet! Website designed by StudioElevenTen. Photography by Stephanie Todd.